Home » 10 Short Cuts To a Great Job. 10 Short Cuts To a Great Job. 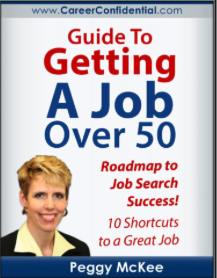 Receive this free “Guide To Getting A Job Over 50” from my friend Peggy Mckee. If now is the time for you to make a career change, this is the missing tool in your job tool kit that you simply MUST have.